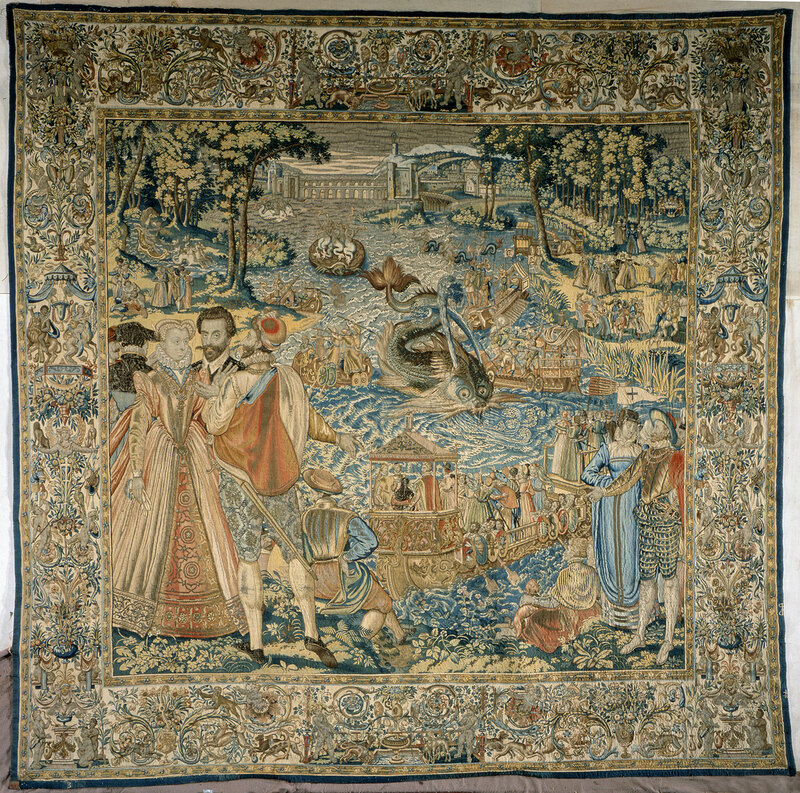 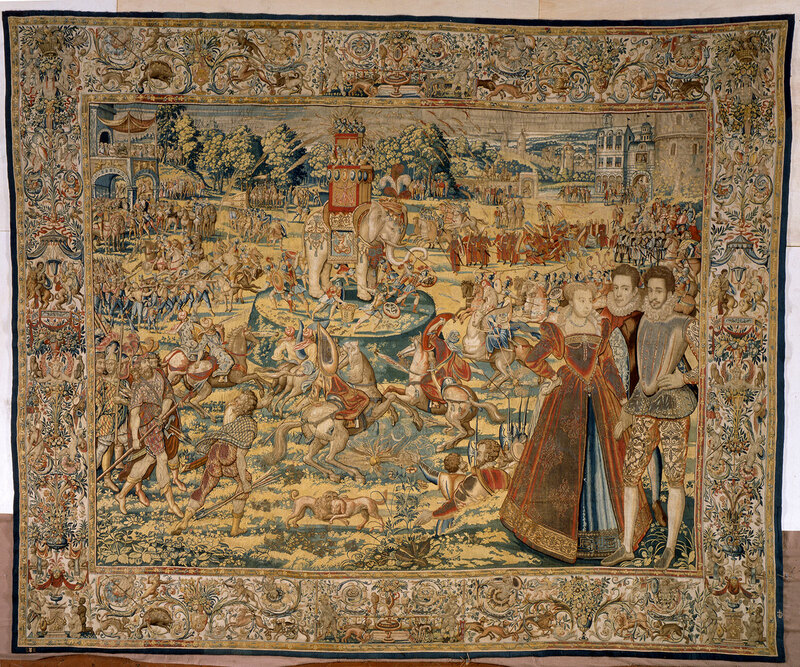 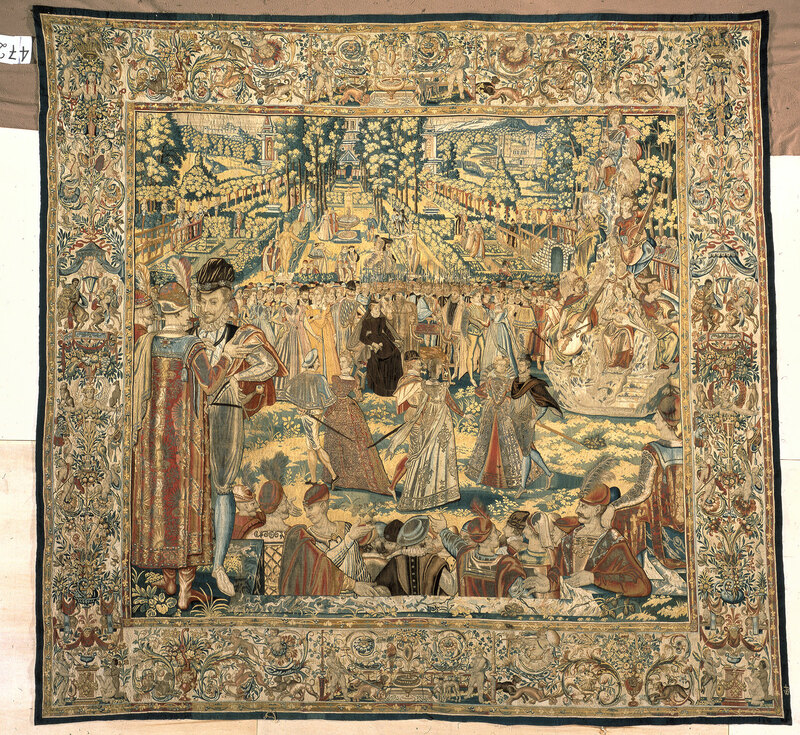 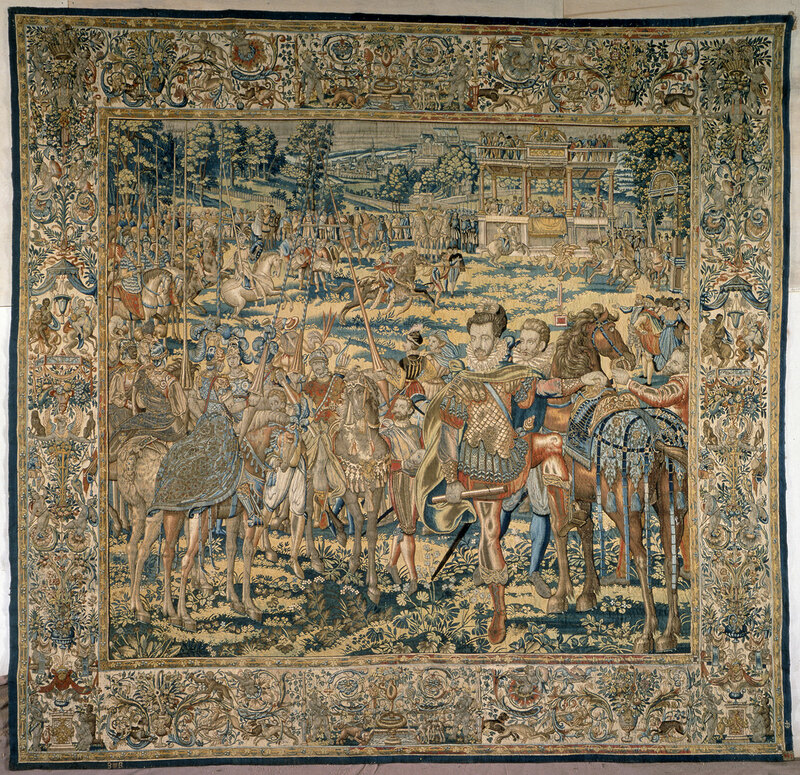 Catherine de’ Medici, Queen of France, portrayed in her widow’s weeds in seven of the eight tapestries, probably commissioned the series for political reasons to honor the Valois family, and her granddaughter Christina of Lorraine brought it to Florence in 1589 as part of her dowry for her marriage to the Grand Duke of Tuscany, Ferdinando I de’ Medici. 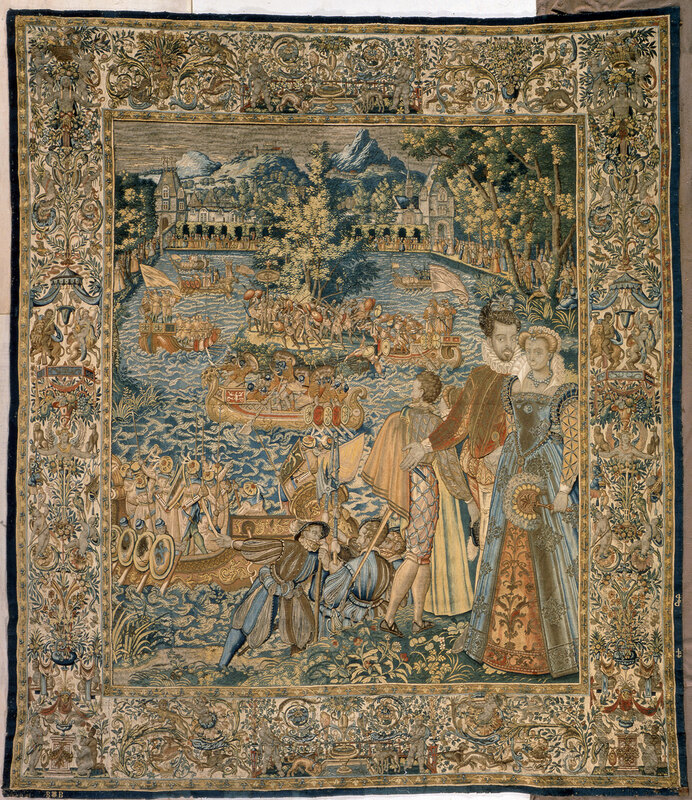 The tapestries value recorded in the Medici inventory of the time was 3520 scudi, the equivalent of about one million dollars today. 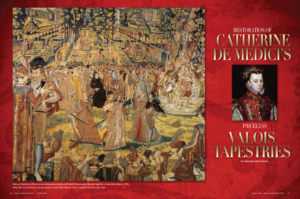 The Valois Tapestries hung continuously for almost a hundred years – first in the Crocetta Palace and then in the Uffizi – but in 1987 they were removed from the gallery, owing to evident deterioration and fading due to continuous exposure to light. 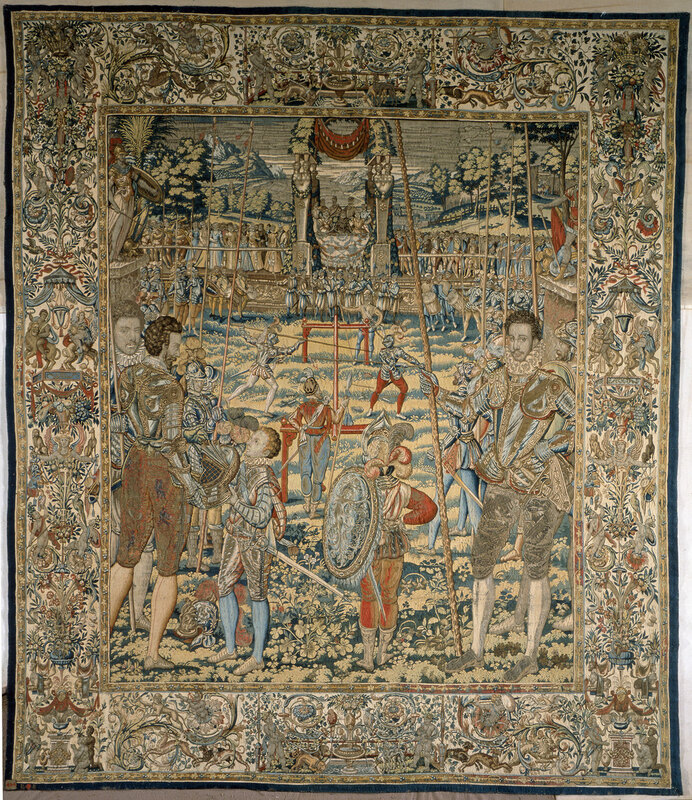 They were carefully rolled up and placed in protective storage, waiting for cleaning and reparation of the serious damages, ranging from losses in the weft and warp of the fabric to oxidation on metal threads. 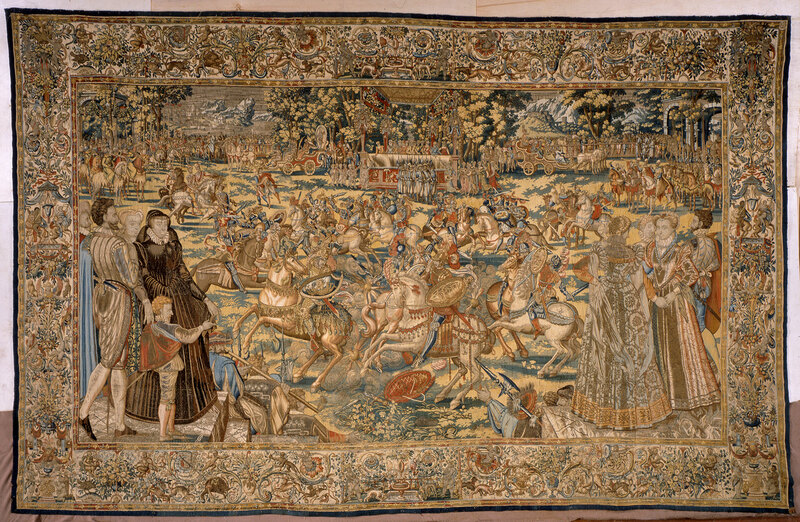 “The Bayonne Tournament” was restored between 1998 – 2008 with funding from the Italian government and our sister and founding organization in Italy, Amici degli Uffizi. 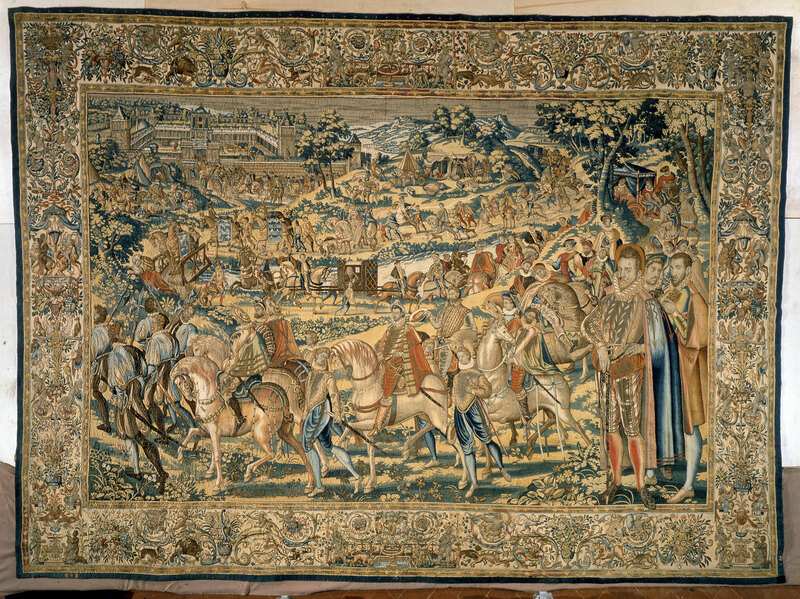 The restoration of all the remaining seven tapestries has been undertaken by the Friends of the Uffizi Gallery, and thanks to generous donations of our member Veronica Atkins, three tapestries have already been restored in 2016 and a fourth restoration is under way.